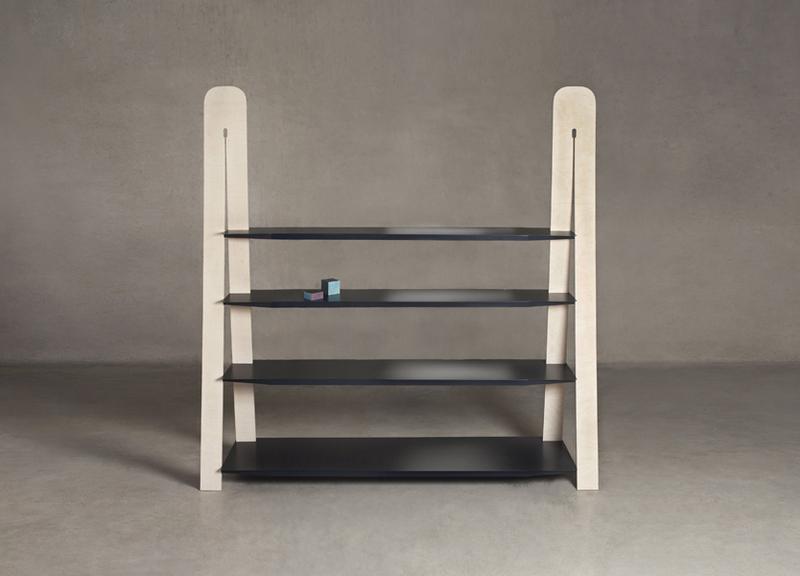 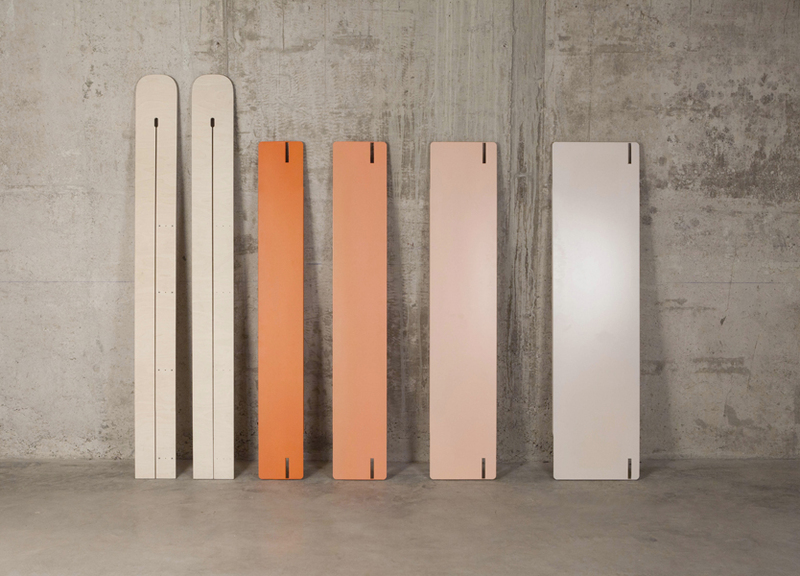 GRADIENT is a flat pack bookshelf that can be assembled in a few minutes. 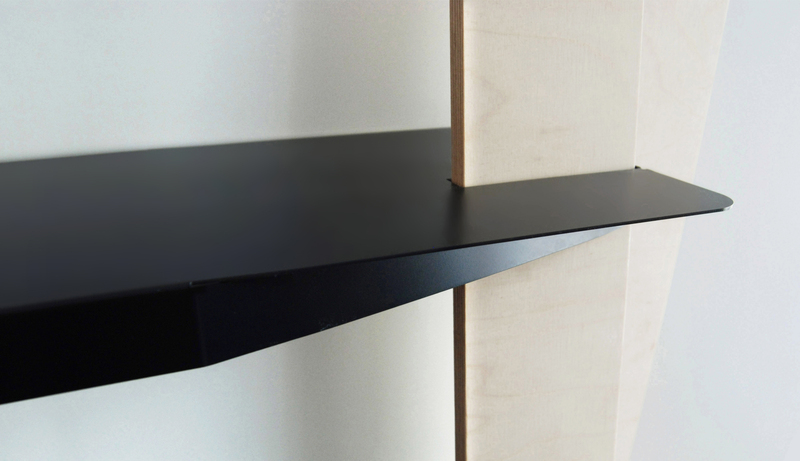 Composed by CNC cut plywood legs and powder coated bent steel shelves, the bookcase works great also as a room divider. 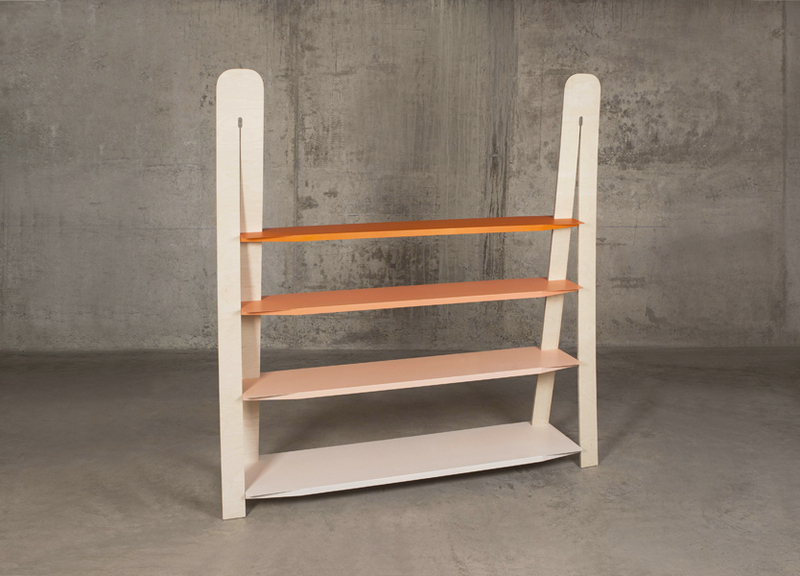 The piece was presented at Paris Design Week 2013.